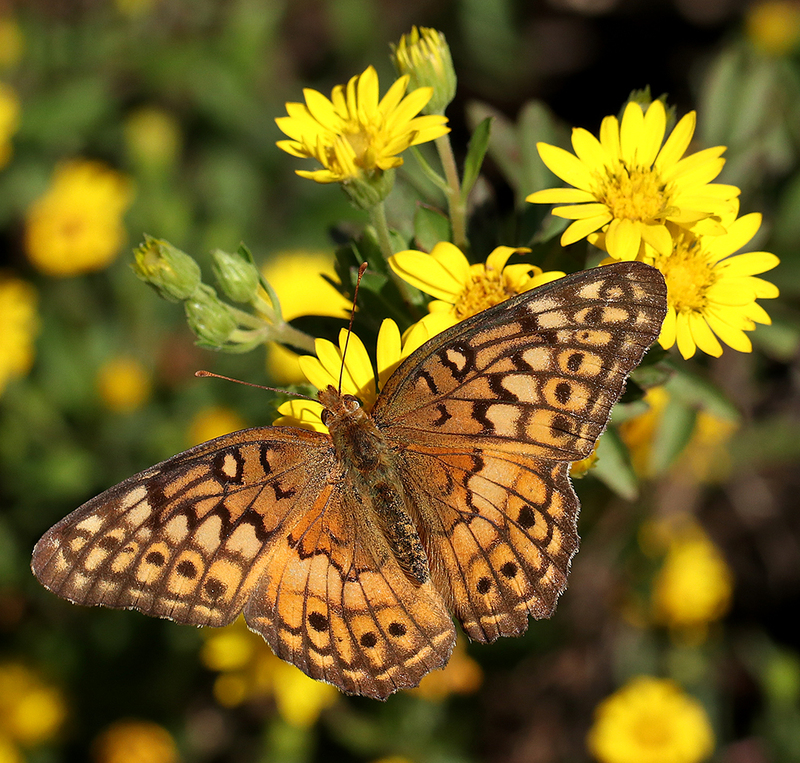 Variegated fritillary on Maryland golden aster. Photo by Debbie Roos. Wednesday, October 10, 2018, at 5 p.m.
Saturday, October 20, 2018, at 2 p.m. The garden was designed to provide forage habitat for pollinators such as honey bees, native bees, butterflies, hummingbirds, plus other pollinators and beneficial insects. It features over 210 unique species of plants, 85% of which are native to North Carolina. These plants were all procured from local nurseries! Garden tour participants will also learn about the nesting habitat for ground nesting and cavity-nesting bees at the garden! No registration is required…just meet on the lawn in front of Chatham Marketplace a few minutes before the start of the tour, rain or shine! The garden is looking great and has over 50 different species in bloom this week. Visit the pollinator garden website! You can view my favorite photos of the garden on Extension’s Growing Small Farms website. The garden is at 480 Hillsboro St. Pittsboro, NC 27312. The “What’s in Bloom” section of the garden website features snapshots of the garden as well as photos of all the plants currently in bloom. • Two Pollinator Garden Tours in July! • Three Pollinator Garden Tours in June! • Two Pollinator Garden Tours in August! • Two Pollinator Garden Tours in September!